Male Crickets use their piercingly unrelenting chirping sound to attract females. Some Cricket species are mute; however, the singing (chirping) species have good hearing, via eardrums located on their front legs. Crickets are considered pets in countries ranging from China to Europe – and sometimes are even used for Cricket fighting. In Southeast Asia, they are sold deep-fried as snacks. Crickets abound throughout the world except in colder, higher regions, with the greatest assortments located in the tropical regions. Crickets can be located in an upper tree canopy, in bushes or among grasses and herbs. They also are found at ground level or in caves; some are subterranean – excavating underground burrows or making homes in rotting wood. Beach-dwelling Crickets actually run and jump over water surfaces. Crickets don’t just annoy with their constant chirping; they can damage paper products, clothing, furniture and even walls! Some simple measures to help control your Cricket population include (but are not limited to): glue traps; bug spray (use care, as these contain toxic chemicals); removing any eggs; ensuring your home or property is well sealed; cover / seal all trash outside; cut back vegetation; removing bright outdoor lights and drawing shades at windows to conceal interior lights; lastly, allowing natural predators to live (lizards and spiders, cats and birds) on your property. 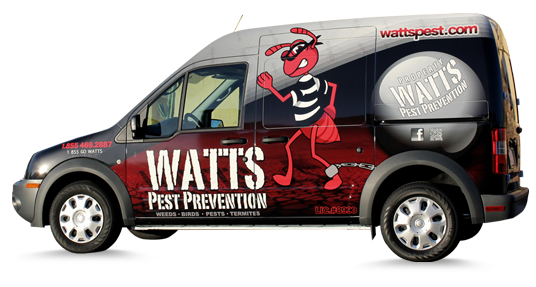 WATTS Pest Prevention experts are skilled and equipped to carry out a comprehensive management plan for your Cricket infestation. For more Cricket information or to request a FREE, NO OBLIGATION Cricket inspection and proposal for your review – call 24/7 (855) 469-2887 [855-GO WATTS].